complete solutions to promote your business online. Ima Appweb offers a full stack of products for marketing, sales, and customer relationship management (CRM): powerful and strong aresenal for your business. Align sales and marketing and stay organized with ease. Skyrocket productivity and close more leads with less work. 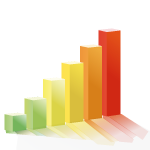 Ima Appweb's Internet Marketing Agency in India is #1 most preffered inernet marketing agency by the clients. Core strength of Ima Appweb is it's in-house departments of Website Design, Website Development, Social Media Marketing, SEM - Search Engine Marketing , SEO - Search Engine Optimization & Digital Advertising. Each one of them being managed by their own team of researchers, strategist, designers, developers and content writers. Request from Clients has eventually lead us in setting up various office's and making ima appweb as one stop solution for promoting customers organizations on the web. We love people contacting us, trying to learn about us. Please make sure you find a Service Manager below, who can help you with your queries. In the digital era where a new agency is formed each day. It is a task to find one that understands your requirements and can share the load off your shoulders. Ima Appweb is that one agency we found. Not only in terms of deliverables, they also impressed us with their though leadership skills. The team work in getting desirables outcomes is commendable. We wish them all the luck and success in the coming years. We have had the pleasure of working with Ima Appweb over the past few years and have repeatedly had our expectations met and surpassed. Saurabh and his team of professionals have developed our projects from the ground up faster and more efficiently than any other developer we've worked with while keeping us within our budget. Their communication is excellent and we often receive nightly updates. Overall, we will continue using Ima Appweb as they have in many ways become an extension of our own business for our web development projects. Thank you IMA! I rely on Ima Appweb to accomplish every aspect of my web design, development and programming needs. I always know that IMA will deliver a clear competitive advantage to any web business of any size within any arena by presenting options that make sense from every strategic perspective. Ima cares about my time, my money and my reputation, and that's why I wholeheartedly entrust my web business and refer my clients to Ima Appweb. Ima Appweb have talented project managers, developers, and designers on their team to take your complex concept and make it a simple and elegant reality. I've been collaborating with IMA for over 5 years now, and appreciate their customer service and dedication to build my company's products just the way I need them to be. I look forward to working with IMA in the years to come, and further building up my strong relationship with their amazing company. We like to thank you specially for Saurabh for his great understanding of work and fully service to us. You are great company and we are really happy to meet you in the internet. One more time thanks again and wishing you success in your further work. Very good work ethics, Value of Money, As they prove their point of being 360 degree solution for generating more revenues for business. 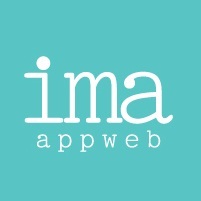 i have been availing all services of ima appweb. facebook marketing, website development, adwords, email marketing etc.